When food and wine historian Jeremy Parzen read yet another story comparing a favorite Italian sparkling wine to France’s iconic bubbly, he posted a rebuttal on his own blog with the headline “Breaking News: Franciacorta is not Champagne!” It’s a message he is taking on a multi-city tasting tour. Parzen, Chicago-born, California-raised, and now based in Houston, is well known for his blog Do Bianchi (www.dobianchi.com), through which he explores Italian gastronomy. Parzen studied and worked in Italy as a Fulbright scholar and translator, then in New York as a wine writer and Italian food magazine editor, and his expertise informs all aspects of his blog. The fruit of the vine is a major theme. “I use wine as a window into Italian culture,” he says, explaining that the “wine drinking experience is that much more rich” when you consider these pours in their cultural and historical contexts. “I told them there couldn’t be a worse way to market it,” Parzen says. He objected to positioning the sparkler as the French bubbly’s lesser cousin. It should be presented as its own distinct, artisanal product. Consortium leadership warmed to the idea, and gave the wine scholar the green light to pen the blog Franciacorta: The Real Story and to tour the US as the wine’s ambassador. While Franciacorta is crafted in the same manner as Champagne, and uses the same grapes, including chardonnay and pinot noir, that’s where the similarity ends. Brescia’s alpine climate and the moderating effects of Lake Iseo result in riper fruit than grapes grown in the more northerly and continental climate of Champagne. Franciacorta needs little augmentation with sugar to aid fermentation or to round out its acid profile. “What I love is its vinous quality,” says Parzen, observing that freshness, salinity, and soft bubbles are three defining characteristics. One appetizing example is a bottle of Antica Fratta Franciacorta Brut. The quality is unmistakable in this dry, entry-level pour, with clean, yeasty aromas uplifted by ripe yellow tree fruit and a telltale burst of saline, all conveyed by gentle effervescence. This is the kind of sparkler that Parzen poured while in Boston last month. He is keen on finding a new language to describe the wine without comparisons to Champagne. 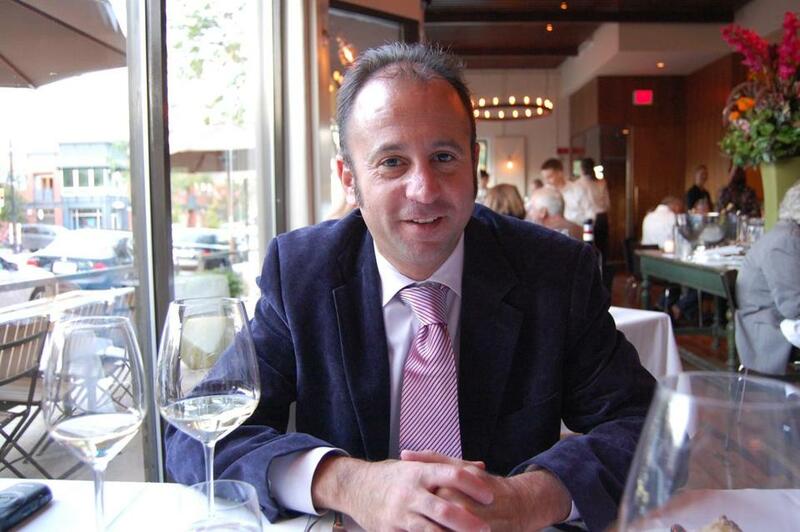 “Let’s talk about Franciacorta without the ‘C’ word,” he says. Antica Fratta Franciacorta Brut (375 ml around $20, 750 ml under $30) is available at Bacco’s Wine + Cheese, Back Bay, 617-574-1751; Gordon’s Main Street, Waltham, 781-893-1900; A Taste for Wine & Spirits, Cohasset, 781-383-0058.